Serving in the various regiments in Continental service during the first half of 1778 were probably over one hundred Native American men. In addition to individuals serving in the different regiments, on the frontier borders of the new country, various Native men fought in special units composed mostly of warriors from a particular tribe. Instances of these include the Oneida and Tuscarora of upstate New York who had fought at Oriskany and in the Saratoga Campaign of 1777, the various Maine tribes, Delaware's under Captain White Eyes in the Fort Pitt area, and the Catawbas of South Carolina. Additionally, there were also border ranger units with a large percentage of Indian men as in Bedel's Rangers of northern New Hampshire (& Vermont - not yet a state). Amongst the many New England regiments were dozens of individuals serving from their home communities. Wampanoags from Mashpee, Pequots from Stoningham, Mohegans from Norwich, Narragansetts of Rhode Island and the largest of all contingents, the Stockbridge Mohicans of western New England and New York. Patrick Frazier's 1992 book, The Mohicans of Stockbridge, provides an in-depth analysis of the role of the Stockbridge men throughout the war. This paper will not review the entire military history of the Stockbridge men during the war, but will focus on their unique role during 1778. The Stockbridge men had fought as a contingent on several occasions during the first years of the war, from the siege of Boston to Burgoyne's Invasion of 1777. In October of that year, Abraham Nimham, with his company of Indians, made application to Congress, "to be employed in the service of the United States; who, in their proceedings, October 25, 1777, requested that they report themselves to Major General Gates for duty...(DeVoe, p. 189)." While on duty with the Northern Army under Gates in 1777, the Stockbridge Indian contingent received supplies from the quartermaster. From April 1777 to September 1777, the Stockbridge Indians received forty-five muskets, forty-three powder horns, seven cartridge boxes, 192 flints, thirty-one bullet pouches, twelve tomahawk belts, 1614 musket cartridges, gunpowder, musket balls and buckshot. On September 30, 1777, Captain Jehouakim Mtohksin returned eleven damaged muskets to the quartermaster (National Archives, Military Stores Records collection, Roll 39). Brothers-I come ask you a question hope you will help us. Now I mention that with which I have been concerned. I had some brothers enlisted into the Continental service in several Regiments. Now Brothers I should be very glad if you will discharge them from their Regiments. We always want to be in one body..when we are in service..do not think that I want get these Indians away from their soldierings..but we want be together always & we will be always ready to go any where you want us to go long as this war stands &tc. Although no written records directing the Stockbridges to serve together under General Gates have been found, we do know that men from Col. Jackson's 8th MA Regiment were with Gates as of the June, 1778. While the regiment was preparing for the summer campaign, the following men from Capt. In July, these men are listed as "on command." Other Stockbridge men may have served with Abraham Nimham under Gates in the early summer; the records are too incomplete to make any definitive conclusion. We do know that other native men were with their respective regiments both in Washington's Main Army and in the Hudson Highlands at this time (Appendix Five). By late July, Washington's army was posted at White Plains in Westchester County, just north of the Kingsbridge area of the Bronx. As the army settled into its new post, Washington began to reorganize his forces. Orders for the 3rd and 6th CT to transfer from the Highlands Department to the Main Army were issued on July 21 and on July 22 several regiments of the Main Army were transferred to the Eastern Department with its focus on Rhode Island. It was at this point of reorganization that Washington's plan for establishing an effective light infantry corps was put into effect. While no documentation has been found ordering the establishment of the Indian Corps to act in conjunction with the light infantry, such a special group was formed. Existing regimental muster roles are exact in this matter: In virtually all cases, native men in all of the New England regiments were pulled out of their companies and served "on command with the Indian Company." Men such as Jabez Pottage (7th CT) and Joseph Read (5th CT), who had fought at Monmouth, were ordered to the Indian Company. Amos Babcock, 5th MA of Mashpee, David Hatch of Mashpee, Benjamin Jones of Sandwich and Abel Supposon of the 12th MA were in the unit, as were the men of Jackson's 8th MA. Men from various Connecticut tribes including Tunxis, Mohegan and Pequot served alongside Mohicans, Wappingers and Oneidas. Peter Keyhole and Daniel Mossuck were two Tunxis men from western Connecticut and John Chops was from the Pequaonnock tribe. To-date, many of the names of other men in the unit await further research as the muster rolls have not survived in the historical record. The phases used in the muster rolls include, "in the Indian Company," "on command with Endan Comp," "with the Indians on the Lines," "on command with Nimham Indian Capt." Abimeleck Unkas of the 1st CT has an interesting notation on his National Archive's general index card; it refers to an additional record collection as "Indian Corps." Unfortunately, no one has been able to locate this additional record collection at the National Archives, nor have historians contacted ever seen this material. Johann von Ewald, captain of the Jager Corps or Hessian light infantry, was on station in the Kingsbridge area of the Bronx during the summer of 1778. From his diary for August 9, he noted that after a tour of scouting up to the Westchester border, one of the British spies reported that Ewald had narrowly escaped an ambush by twenty Indians and three hundred Americans. This reference places the Indian Company on the lines by early August. 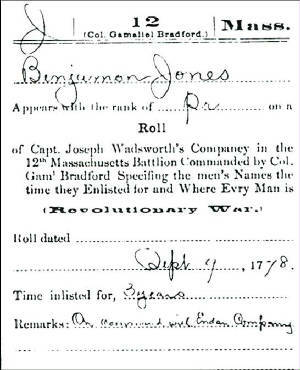 In addition, from records of the Army quartermaster, Captain Nimham received two muskets, two bayonets and 770 musket cartridges at the White Plains camp on August 20, 1778.